The Jumbo Shipping vessel Stellaprima arrived today at pier 9 to unload a work-boat. The Dominion Warrior is being brought over from Gibraltar. 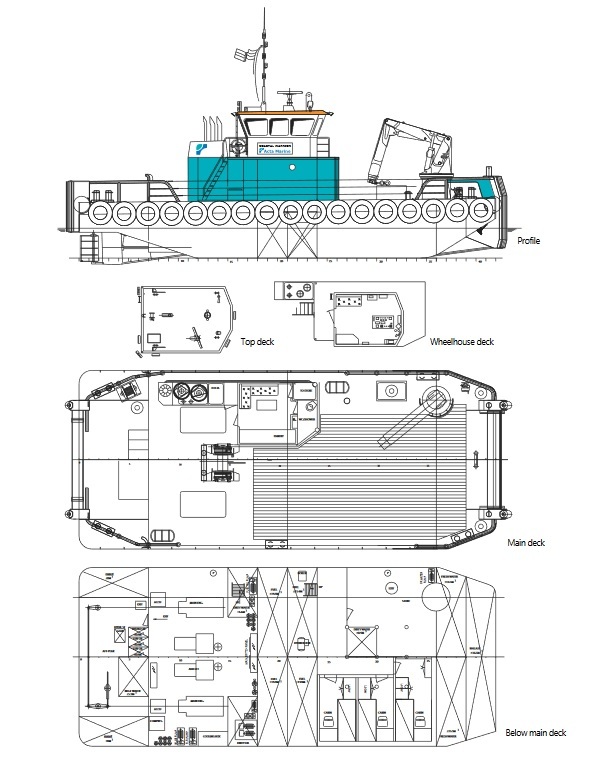 Built as Coastal Warrior, and purchased by Dominion Diving, the work boat is barge like in appearance with a small superstructure and large work area. A Common vessel layout in Europe, these type of work-boats are uncommon in Canadian waters. This entry was posted in heavy lift, jumbo shipping on March 12, 2018 by Peter.